Oyama of Taiwan, which has been manufacturing bicycles for western brands for 50 years, will make its American debut next week at Interbike. A bicycle brand in its own right since 1998 in the Asia Pacific region, Oyama will preview their cycling products under their own label next week at the international bicycle trade fair, which runs from September 21-23, 2016 in Las Vegas, NV. The bikes will go on sale next spring in the United States. Beginning as the Ta Jong Industrial Company in Tainan, Taiwan in 1966, Oyama later took its trade name from the company’s founder and inventor, Oyama Wang, who started out at age 18 as a components developer and supplier for the emerging Taiwanese bicycle industry. Wang continues as CEO today, guiding Oyama’s success as an OEM contributor and equipment manufacturer in the international bike arena. Today, Oyama’s R&D division at its original Tainan location focuses on bike components and alloys including carbon fiber, aluminum, chrome, steel and state-of-the-art manmade materials. 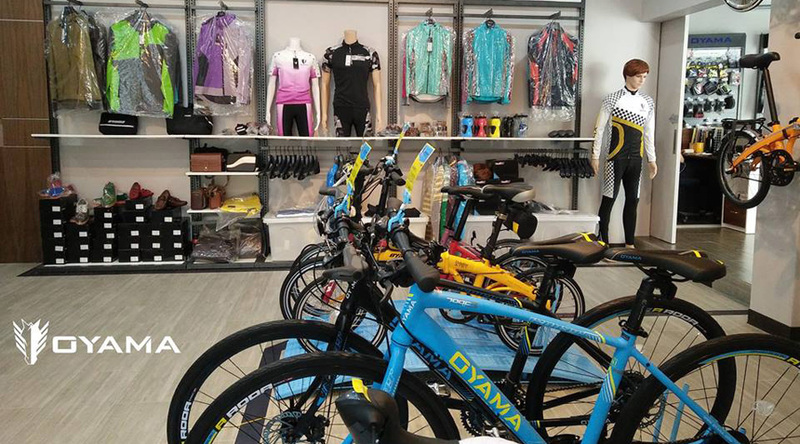 A high-capacity manufacturing facility it opened in Jiang-Su, China in 2001 manufactures 500,000 bicycles annually, including the specialty high-performance and niche bikes under the Oyama brand name sold today at 250 Oyama stores throughout the Asia Pacific region. The family owned and operated enterprise employs a combined staff of 600 at the production locations.